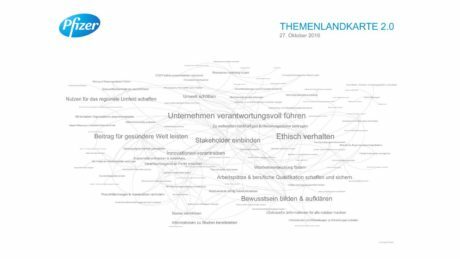 On October 19th 2016, Pfizer Austria invited its stakeholders to determine its material topics. 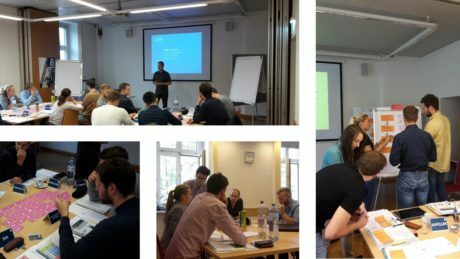 Croatian team led by Andreja first conducted focus group research to find out details of new heating appliance regulation and then levied the discussion to the open forum. 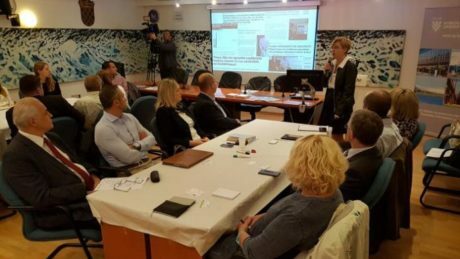 Informal network of ESF information officers (INIO) invited Croatian MD Daria Mateljak to speak at their 45th meeting held in Dubrovnik. 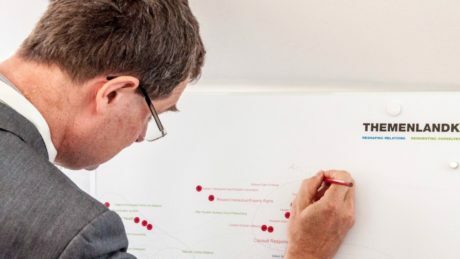 RZB, one of Austria's (and CEE's) biggest banks, asked Hauska & Partner Austria to review their materiality matrix. 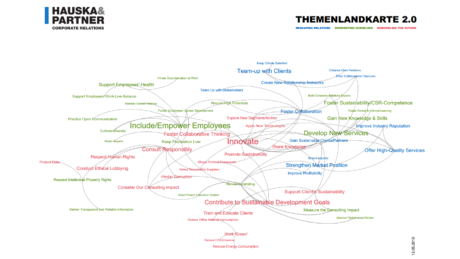 Following two stakeholder dialogues, it shows the consultancy's materiality. 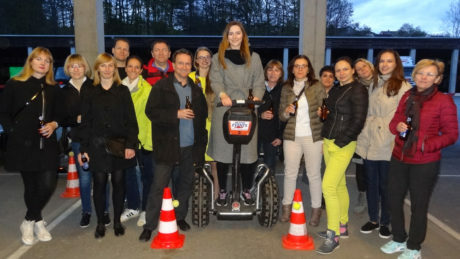 On April 8th – 10th 2016, Hauska & Partner’s employees from all countries met in lovely Hotel Retter in the Austrian federal state of Styria. 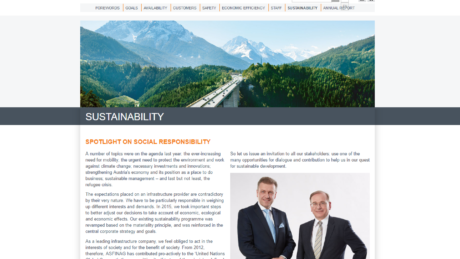 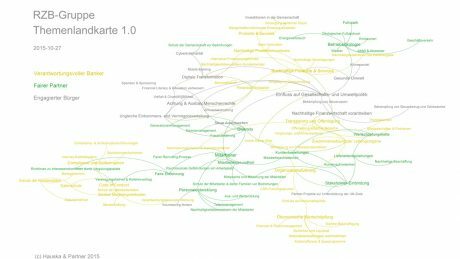 On March 31st 2016 the Austrian office invited friends and partners, clients and education experts, media and politicians to discuss the consultancy’s sustainability topics. 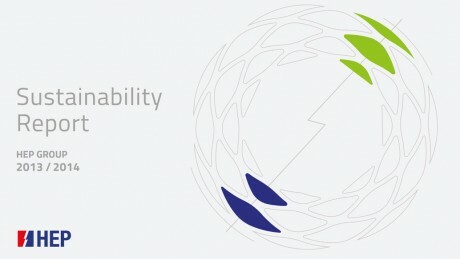 HEP group (Hrvatska elektroprivreda) is the first large state-owned company to publish a high-quality sustainability report according to GRI G4 guidelines. 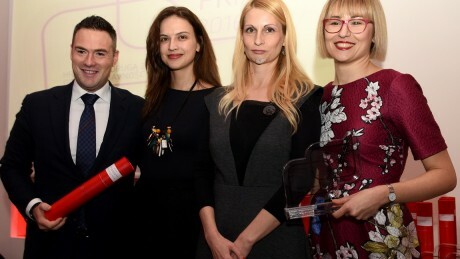 Last week, Croatian Hauska & Partner team was awarded Croatian Public Relations Association’s Grand PRix in the category of large companies for the project “Reputation building and positioning of D-Resort Šibenik”. 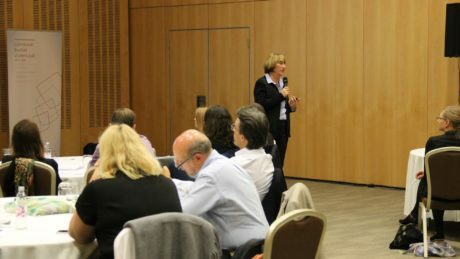 The Croatian Business Council for Sustainable Development - HRPSOR (member of WBCSD) is in the process of electing new leaders of its governance bodies.